BALDWIN, Long Island (WABC) -- Police have arrested a homeless man in Baldwin after they said he threatened parishioners at a church. 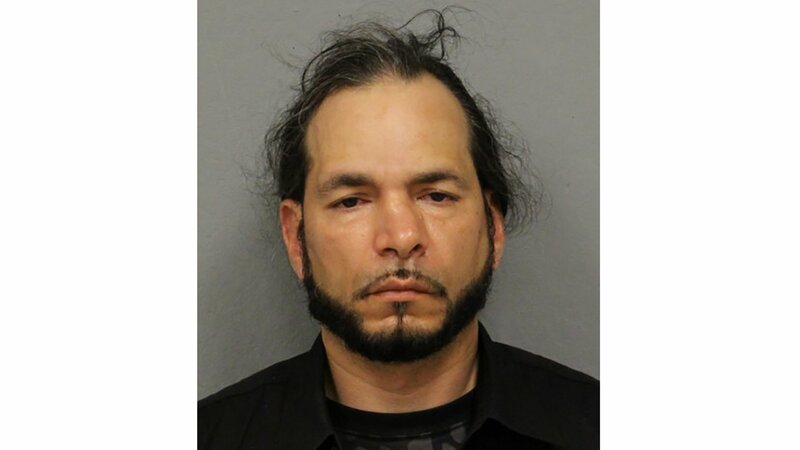 Around 6:30 p.m. Sunday, Jose Rodriguez, 50, went into Inglesia Despirtar Church on Grand Avenue, approached a parishioner whom he knows, and put his fist up to the man's face, police said. Rodriguez said he was going to kill the man, according to the Nassau County Police Department, then indicated he had a weapon, and said he was going to come back and shoot the victim and other worshipers in the church. Rodriguez left, but police responded to the scene, found him and arrested him. No weapon was recovered. Rodriguez is charged with menacing, disrupting a religious service, and making a terroristic threat.